SPINX, the Greenville, S.C.-based fuel and convenience retailer, opened its newest store at 845 Jedburg Road in Summerville on May 3, 2018. 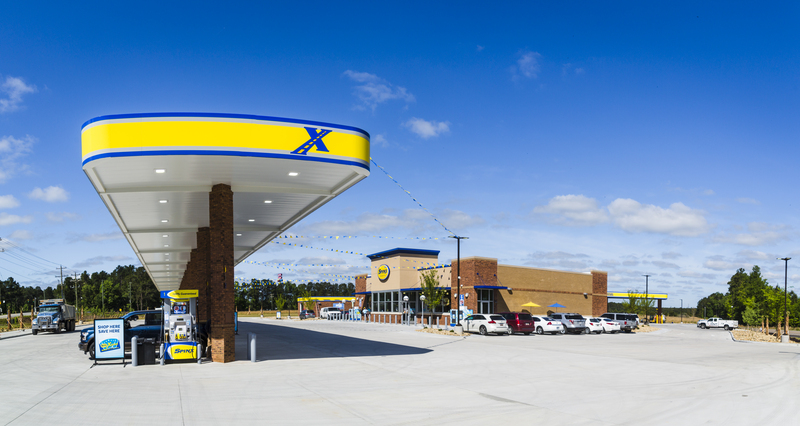 The 11th new-to-industry SPINX location in the Lowcountry region, this newest store is equipped with 18 fuel pumps, a truck diesel island serving DEF at the pump, a rollover car wash, more than 40 parking spaces, and a 6,188-square foot convenience store with a full-service kitchen. As the fourth SPINX to open in Summerville, the new location provides another opportunity for the local community, travelers and truckers to fill their gas tanks as well as enjoy SPINX’s legendary fried chicken, chicken biscuits and chicken tenders served fresh all day. The full-service kitchen also provides made-to-order fruit, yogurt and coffee smoothies, and prepares fresh fruit, yogurt and vegetable cups and sandwiches as part of SPINX’s Fresh On The Go offering. Customers can also enjoy ice cold fountain drinks, lemonade and iced tea with SPINX’s popular “chewy ice,” in addition to soft serve ice cream and hand-spun milkshakes. Hot beverages, including bean-to-cup fresh coffee and Nitro Cold Brew, will also be available for purchase. As always, SPINX Xtras card members can save on gas just by shopping inside any SPINX store, including the new location. For more information about SPINX and SPINX Xtras, visit www.myspinx.com. The new Summerville location is part of SPINX’s growth strategy to expand its footprint in the Lowcountry and bring its fresh, fast and friendly service to on-the-go customers in the Charleston region. The store employs more than 50 full-time and part-time associates, and SPINX is the largest privately-held retailer in S.C., with 80 locations and more than 1,300 associates.